When it comes to the parshiyos of sefer Bereishis, many people mistakenly kick back, relax and go on “cruise control”. They think that now is the time for stories, not actually actively learning any “real halacha” from the Chumash. However, this is the wrong approach. There is a plethora of relevant information that we can and should glean and learn, lishmor v’la’asos, from the actions of our great forefathers, the Avos and Imahos. This does not only fall into the realm of proper conduct, midos tovos and ma’asim tovim, but even halacha l’ma’aseh. One prime example can be seen from Parshas Vayera. But first a little background. It is well known [see Shulchan Aruch (Yoreh Deah 88, 2; based on Gemara Chullin 104b] that if two people are eating together at a table, and one is eating meat and the other dairy, they have to place something between them to remind them not to share food with one another and possibly transgress the prohibition of eating milk and meat together. This is known as a hekker. Typical examples of such a hekker are separate placemats, or putting something distinctive down that is not usually on the table when eating. There is a halachic disagreement between two of the preeminent commentators on the Shulchan Aruch, Rav Akiva Eiger and the Pischei Teshuva, Rav Avraham Tzvi Hirsch Eisenstadt, whether appointing someone to stand over the two people eating to make sure that they don’t eat from each other’s plates, (a shomer) is effective. The question is, may one rely on someone standing there watching instead of a hekker to allow them to eat together? Can a shomer take the place of a hekker? Rav Akiva Eiger (Glosses to Yoreh Deah 88, 1), citing the Shu”t Ginas Veradim (Gan HaMelech, end 71), that a shomer should be considered halachically ineffective to permit partaking of milk and meat at the same table, as such an undertaking would require a constant conscious awareness to ensure no inadvertent mixing occurs. In their opinion, however helpful a watchman may be, he would still come up short in this category. On the other hand, the Pischei Teshuva (ad loc. 4), citing the Shu”t Maseis Binyomin (112), maintains that the point of the hekker needed is to serve as a constant reminder; therefore, the presence of a watchman should certainly seem sufficient to prevent a kashrus mix-up, as even just his being noticeable at the table might well serve akin to an ad hoc hekker. Many halachic decisors through the ages have taken stances on both sides of this debate, with no clear cut consensus. However, what is most fascinating is that the Lev Aryeh (in his commentary to Chullin 104b s.v. u’vazeh) and the Me’am Loez (Yalkut Me’am Loez, Parshas Mishpatim pg. 892), both separately bring proof to this issue from Parshas Vayera. The pasuk (Ch. 18, verse 8) states that upon welcoming the three angels, Avraham Avinu serves them a meal fit for a king, made up of both meat and dairy ingredients (tongue, as well as butter or cream). The verse continues “And he stood over them, under the tree, and they ate.” Both of the above-mentioned commentators, as well as later, Rav Yosef Shalom Elyashiv zt”l, raise the question of why the Torah specifically stated that Avraham Avinu “stood over them”. Why was this detail necessary for the Torah to add? These authorities understood that these extra words indicated that while some of the angels were eating milk, the others were eating meat. By “standing over them”, Avraham was actually acting as their self-appointed shomer, to ensure that “ne’er the twain shall meet” (or is it meat?). This is cited as a proof to the Pischei Teshuva’s position that a shomer could definitely work in place of a hekker between meat and milk. In fact, based on this proof, Rav Elyashiv actually rules this way. In a related idea, the Talilei Oros (vol. 1, pg. 175), quoting the Meilitz Yosher, asks why the pasuk emphasized that the angels ate; especially as Rashi (ad loc. s.v. vayocheilu, quoting the Midrash Rabba, Bereishis 48, 14 and Gemara Bava Metziah 86b), maintains that angels can not actually eat; rather these angels gave the appearance of eating. The difficulty with this explanation is that the Midrash teaches that at the time of receiving the Torah, the angels did not want to ‘release’ it to Moshe Rabbeinu. The angels were informed that they were undeserving of receiving the Torah, as they had previously shown that they had not observed its laws, for they ate milk and meat together at Avraham’s house! Yet, according to Rashi, they did not actually eat! So why did all angelkind lose the privilege of keeping the Torah? The Meilitz Yosher answers that even though the angels did not actually eat, the Torah still refers to their actions as eating. Why? To indicate the power of “Maris Ayin”, a Rabbinic enactment which prohibits taking actions which are permitted according to the letter of the Law, but nevertheless give onlookers the impression of doing something halachically forbidden. We have an obligation not to act in a way that might cause this kind of confusion. Therefore, the angels, since they gave the appearance of eating milk and meat, even though they may not have actually done so, lost the opportunity to claim the Torah for themselves. The popular expression might be “looks can be deceiving”, but even so, everyone (apparently inclusive of angels) must make sure not to engage in questionable activities, or even questionable-looking ones. In fact, from just this lone verse, many halachic commentators and authorities glean various possible halachos, including: the proper order of eating - dairy before meat; the importance of wiping and rinsing out one’s mouth (kinuach v’hadacha) in between a dairy and a meat course; the idea that one should do the above mentioned kinuach exclusively with bread, tongue’s elevated status in halacha vis a vis its nullification; special halachic dispensation given regarding invited guests, even those who are viewed as “charity cases”; the proper way of sending a “kos shel bracha” to one’s wife after Birchas Hamazon; the significance of eating “chullin b’tahara”; the problem of burning meat and milk together (as a form of cooking); and possibly not having to wait the full amount of time after eating meat on Shavuos. In conclusion, we see not to take the conduct of the Avos lightly. As aside for Maaseh Avos Siman L’Banim, in which a unique form of spiritual DNAis transmitted to us, their children, moreover, from even just a small act on their part, they impart to us a treasure trove of hanhaga, hashkafa, and yes, even halacha. The entirety of the issue is obviously far more complicated, but this is the basic machlokes. It seems to be based on their disparate understandings of the purpose of a hekker, how it exactly works halachically, and whether daas is necessary or not. For example, the Atzei HaOlah (Hilchos Bassar BeChalav, Klal 2, 88, 6 and Chukei Chaim ad loc. 5), the Dalsei Teshuva (Yoreh Deah 88, 1), Darchei Teshuva (ad loc. 6), and the Machaneh Yehuda (Shu”t 41) all rule like Rav Akiva Eiger, while the Yad Efraim (Yoreh Deah 88), Chochmas Adam (40, 11; who maintains that a hekker would work for even one eating by himself), and the Yavin Daas (Shu”t, Chiddushim on YorehDeah88, 2) all rule like the PischeiTeshuva. Although the MattehReuven(184) and BadeiHashulchan(YorehDeah88, pg. 46, Biurim s.v. im asu) question the PischeiTeshuva’s application of the MaseisBinyomin’s rule, as they maintain that he did not mean to apply it to HilchosBassarBeChalav, but rather to HilchosHarchakos, nevertheless, with the recent printing of the PischeiTeshuvaHashaleim(with the reprinting of his sources in their original), history has disproven this claim, as the MaseisBinyonim explicitly uses this logic to allow eating milk and meat together at the same table with others acting as watchmen; adding that there is no ‘hefsek gadol yoseir m’zeh’. The MaadaneiHashulchan(ad loc. 2) characteristically concludes that since this is a machlokes haposkim, it is preferable not to rely upon it barring extenuating circumstances. See Rashi (ad loc. verse 8 s.v. chem'ah, andverse 7 s.v. bakar), based on Gemara Bava Metziah (86b). Both, in his commentary to Gemara Chullin, Ha’aros B’Meseches Chullin (104b s.v. gezara), as well as in his commentary to Chumash, Kovetz Ha’aros shel HaGri”sh (pg. 16 s.v.v’af). The Midrash HaGadol (Toldos 26, 5) implies this way as well. Midrash Shochar Tov (8) and in Pesikta Rabassi to “Asseir Te’asser”; cited by the Shitta M’Kubetzes (Bechoros 6b, 2). There are many different ways to understand this Midrash, including how exactly Moshe Rabbeinu was able to sway the Malachim with his logic regarding their eating Bassar B'Chalav at Avraham Avinu's house. For an interesting explanation relating to whether or not Malachim posses a Yetzer Hara, see Rav Moshe Yekusiel Kaufman-Cohen's (the son-in-law of the Magen Avraham) Chukei Chaim (Os Shin, 2, Dinei Chag HaShavuos, pg. 111b). See Yoreh Deah (87, 3 & 4), and relevant commentaries, and previous article titled "Margarine, Misconceptions, and Maris Ayin" at length. See Midrash Leket Tov (ad loc.). See the Chasam Sofer’s Toras Moshe (Parshas Vayera s.v. shalosh); cited in Rabbi Yitzchok Aharon Kramer’s sefer Arichas HaDaas (Ch. 3, end footnote 27). According to this interpretation the Malachim ate the dairy foods before the meat, yet neglected to do the required kinuach, rechitza, and hadacha between them. See the Maharam Shiff’s glosses to Gemara Chullin (105a). See Taz (Yoreh Deah 101, 8), quoting the Rashal (Yam ShelShlomo, Chullin Ch.7, 53). See Soles L’Mincha (15, 3), arguing on the premise of the Toras HaAsham (ad loc. ); cited in Pischei Teshuva (Yoreh Deah 69, 13). See also the Chofetz Chaim’s Ahavas Chessed (vol. 3, Ch. 1 s.v. v’da) and Rav Moshe Halberstam’s Shu”t Divrei Moshe (42, 2). Shu”t She’elas Ya’avetz (vol. 1, 126); based on Ritva’s commentary to Bava Metziah (87a). See Rashi ad loc. (s.v. vayikach), based on Gemara Bava Metziah (87a). In a related topic, see recent article “Pie Crusts, Pas Paltur and the Aseres Yemei Teshuva”. 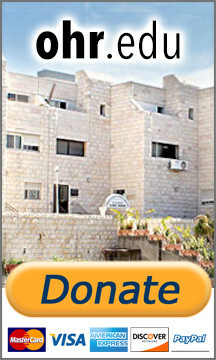 See the Steipler Gaon's Birchos Peretz (ad loc. ), cited in Talilei Oros (vol. 1, pg. 174), based on the comments of the Shitta M’Kubetzes on Bechoros (6b, 2). According to this explanation the Malachim actually did eat Bassar B'Chalav and their internal fire cooked them together, transgressing what would have been a Biblical prohibition of cooking Bassar B'Chalav, had they been Jewish human beings. See Noam Elimelech (end Parshas Mishpatim s.v. lo sevashel). There are many explanations as to his intent (see for example Piskei Teshuvos end 494), and many authorities do not agree with his logic in this scenario as halacha. See Ramban (Parshas Lech Lecha, Ch.12, 6 and introduction to Sefer Shemos). Accordingto the Ramban, based on the Midrash Tanchuma (Parshas Lech Lecha 9) and cited by many later authorities [see, for example, Kli Yakar (Parshas Toldos Ch. 26, verse 19 and Parshas Vayeishev Ch. 38, verse 18), Maharsha (Chagiga 5b and Avoda Zara 8b), and Shu”t Sheilas Ya’avetz (vol. 1, 75)], the purpose of showcasing the actions of the Avos is to demonstrate that a physical action, small as it may be, serves as a conduit to actualize and channel a Divine decree; in this case creating and enabling abilities in future generations. This was touched upon in previous articles titled ‘(Not) To Eat Fish On Rosh Hashana?’ and ‘All About Honor in Halacha’.